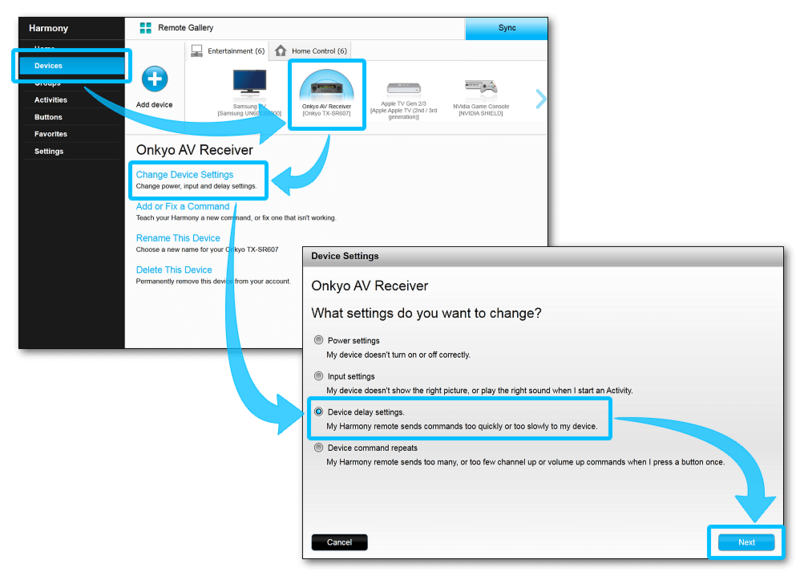 If a device is not turning on or switching inputs correctly, you may need to adjust your inter-device delay. The inter-device delay is how long Harmony waits after sending a command to one device, before being able to send a command to another. In order to use the Harmony mobile app, you'll need to use a Harmony hub‑based product. 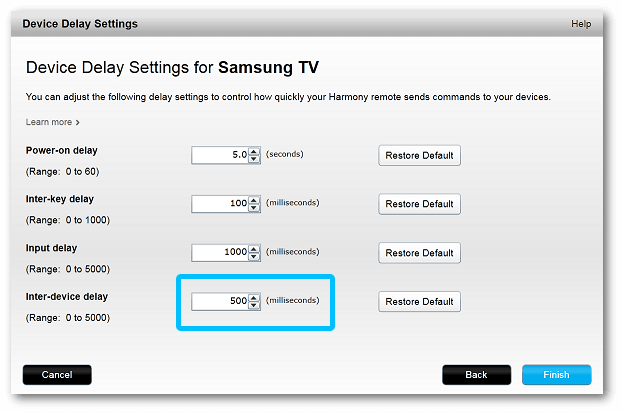 Otherwise, the desktop instructions are most likely compatible with your Harmony remote. Select the device you'd like to modify, followed by FIX DELAY. Use the slider to adjust the INTER‑DEVICE DELAY. 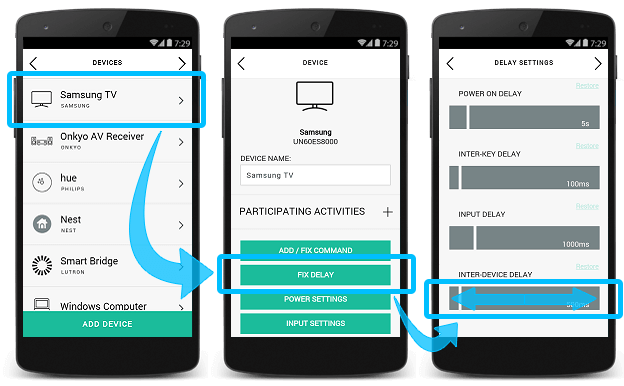 Select the Devices tab, along with the device you'd like to modify the inter-device delay settings for. Select Change Device Settings, followed by Device delay settings, then Next. Adjust your Inter-device delay to the desired setting and click Finish. Press and hold the Help button for 5 seconds. Select Yes to confirm advanced delay fixing mode. Select the device to be modified, followed by Change Delay. Select Inter-device Delay and use the screen buttons to decrease or increase the seconds. When you're done adjusting your settings, press Done. From your Harmony remote, press the Menu icon. Select Settings > Devices > Delay Settings. Select Change Delays, and tap the device to be modified. Select Inter‑device, then use the slider to adjust the delay.